ARC Document Solutions, Inc. provides technology and services focused on document and information management for the architectural, engineering and construction industry. Our solutions reduce costs and increase efficiency in our customers’ offices, in their archives, and for their projects. The Company provides onsite managed print services (MPS), archiving and information management (AIM), construction document and information management (CDIM), as well as the sale of web and cloud-based applications to support these services. We operate more than 170 service centers in North America, more than a dozen locations in China, and select locations in the U.K., Hong Kong, Australia, and India. And when we need to reach even further, we partner with qualified service providers in more than 40 countries around the world. We also, provide equipment and services onsite in more than 8,500 customer locations, and we service large enterprise customers through a corporate sales force called Global Services. Morley Builders is prominent in the top echelon of Southern California’s general contractors. Since 1947, our experience has provided the necessary construction leadership, tools and skilled, dedicated people to meet any construction challenge with a creative solution. Morley Builders contracts its services through two wholly-owned subsidiaries; Morley Construction Company – self-performing structural and architectural concrete services and Benchmark Contractors, Inc. - open-shop builders. Our team of experienced professionals works seamlessly with the design teams to ensure a successful outcome. Every challenge is an opportunity, and as we enter our 70th anniversary year, we continue to pride ourselves in building the most complex projects at the highest level of quality. We encourage the sharing of ideas and use the latest construction technologies, delivering high-quality, and cost-effective innovative construction solutions. The Morley Builders family of companies is headquartered in Santa Monica with a full-service office in Irvine, a regional concrete office in San Diego and an ecofriendly equipment yard in Montebello. As an employee owned company, Morley Builders’ mission is to be an innovative and entrepreneurial company of individuals with uncompromising integrity, working together to be the leader in building quality projects with pride and dignity. Established over 100 years ago, Clark Construction is one of the country’s leading general contractors with revenues of more than $5 billion annually. Headquartered in Bethesda Maryland, Clark is one of the largest privately-held contractors in the United States with offices throughout the country. Clark’s western region headquarters is in southern California with offices in San Diego, Irvine, San Francisco and Seattle. Clark has had a growing presence in California since the 1980s. In Los Angeles, Clark constructed and revitalized some of the city’s most iconic buildings―LA City Hall Seismic Rehabilitation, Hall of Justice Renovation, Caltran’s District 7 Headquarters, USC’s Galen Center, LA Live, and the US Federal Courthouse. Celebrating 25 years of continuous operations in California and over $6.3 billion of successful work in Los Angeles, Clark continues to be a key player in LA’s built environment and to find meaningful ways to give back to the local community. 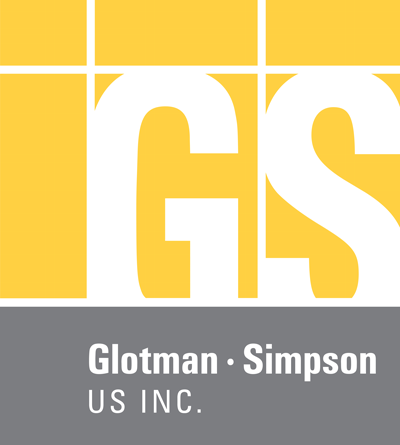 Glotman• Simpson Consulting Engineers is one of North America’s leading engineering firms, providing innovative structural engineering solutions and unparalleled client service since 1964. For more than 50 years, we have provided structural engineering consulting services for over 5,000 projects in the areas of residential, commercial, industrial and institutional buildings. As we continue to grow and present unique solutions for some of the most challenging and intriguing work in structural engineering, our commitment to our clients and to quality service, from every division of our operation, is paramount. Our dedicated and experienced staff bring a unique level of expertise to every project, while our flexible, team-based approach enables us to respond efficiently to the individual needs of each client. We succeed because we deliver value. Together, we are committed to our core values of servant leadership, passion, integrity, loyalty, great people, alignment and communication. We live up to our motto: Creative Thinkers, Cleverly Disguised as Engineers. Turner Construction Company is recognized as the leading general builder in the U.S., ranking first or second in most major market segments of the construction industry. The company performs work on over 1,100 projects each year with over 5,200 professionals on staff. Turner has been performing construction services in the Southwest since 1964. 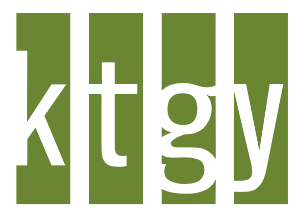 Our local office offers a broad range of construction services for our clients such as preconstruction estimating, feasibility studies, construction management, general construction, design-build services, virtual design and construction, lean construction, integrated project delivery, sustainable building and design, equipment planning/procurement/installation, commissioning and facility maintenance.